The Flight Crew is a cadre of experienced gamers that help promote FFG titles at venues and events all over North America. 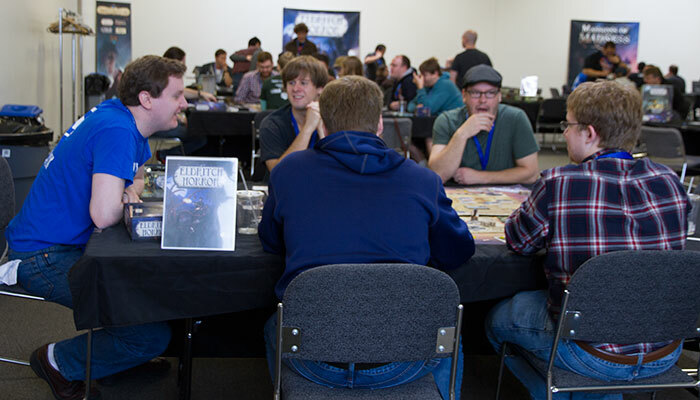 At Fantasy Flight Games we make a huge variety of board, card, and miniatures games, and this is your chance to share the games you love with new players and welcome them into your gaming community. Our demo contractors are a gateway for new players to experience our wide catalog of games. Whether it’s enabling participants to explore the dungeons of Terrinoth in Descent: Journeys in the Dark Second Edition, save the world from unspeakable threats in Eldritch Horror, or navigate the halls of intrigue in A Game of Thrones: The Card Game Second Edition, demonstrators share their passion for gaming and help ensure new players have a great first experience. Be passionate about and familiar with a variety of Fantasy Flight Games titles. Have the patience to teach games to people repeatedly. Be actively involved in your local gaming community. Be reliable and able to work independently. If all of this sounds interesting to you, and you feel you’d be a good fit for our program, please fill out the application found here. Please note that applicants must be at least 18 years of age, located in North America and, as this will be a paid program, be willing to provide a completed W9 form (for US residents). What does it mean to be an Independent Contractor for the Flight Crew? As a member of the demo team, you will be contracted and paid to work on an event-by-event basis. Although you will not be an FFG employee, you will help demonstrate, teach, and promote our games in your market and report the results of your demos to the Demo Coordinator. What sort of events will contractors work? Contractors will demo at local gaming stores, libraries, and other special events. Depending on your skills and qualifications, and our needs, you may be invited to work at larger events, like GenCon, PAX, or other special events. Contractors will be able to choose to work the events that best fit their schedule and interests. What games will I be able to demo? 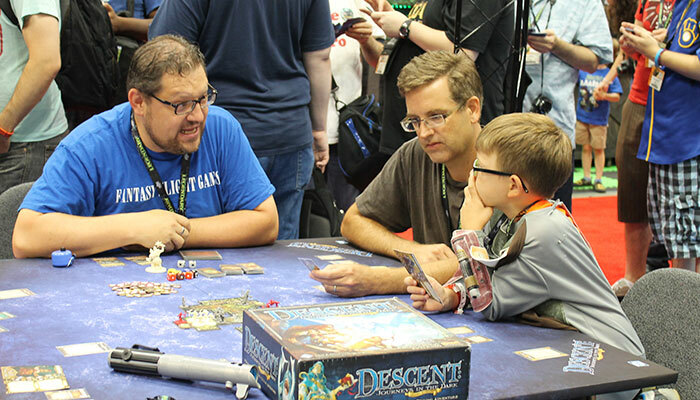 The Flight Crew will demo a wide range of Fantasy Flight Games products, often focusing on the newest and hottest titles. The exact mix of titles will vary from event to event. We will make our best effort to match Crew members with the games they will be best able to showcase. How often will I be able to work? As our program continues to grow, there will be more and more opportunities for contractors to participate. When we have an event, we will contact contractors in the area and arrange coverage. Each event will give you the opportunity to earn money doing something you already love— sharing your passion for games with others. While we know we have a lot of passionate fans around the world, at this time the Flight Crew is limited to residents of the United States and Canada. If we expand in the future, it will be announced here.